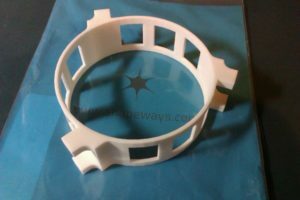 Ordered from shapeways. Designed to hold 3 sub micro servos. A while ago, the nice folks at Bronkhorst gave us a helium-compatible gas flow meter on loan. This shiny (literally) bit of kit allows us to deliver precise quantities of helium to our high altitude balloons, hopefully increasing the accuracy of our predictions. The flow meter needs control from a PC (with an RS232 port! ), which is inconvenient when in the middle of a field. 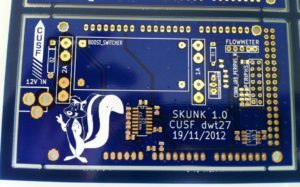 Skunk is a project to use an Arduino as the controller for the flow meter, meaning we can put it all in a nice case with a battery and control panel for field-filling. 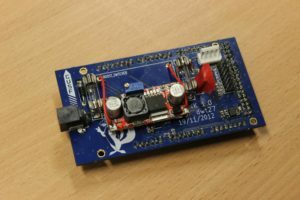 A key part of this is the interface PCB – an Arduino shield with all the random circuitry crammed on. 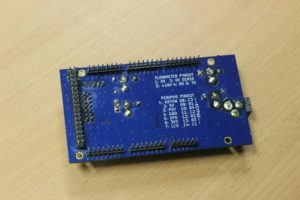 After a few weeks of design, the wonderful, amazing, people at the Cambridge Circuit Company fabricated a beautiful PCB for us – pictures of the bare and made-up boards are below! (Points for spotting the design mistakes I’ve had to correct – thankfully none were show-stoppers). There’s still a lot left to do on Skunk, but for once it’s making solid progress. One of our new members will be developing the firmware in the new year, once the hardware is all hooked up. 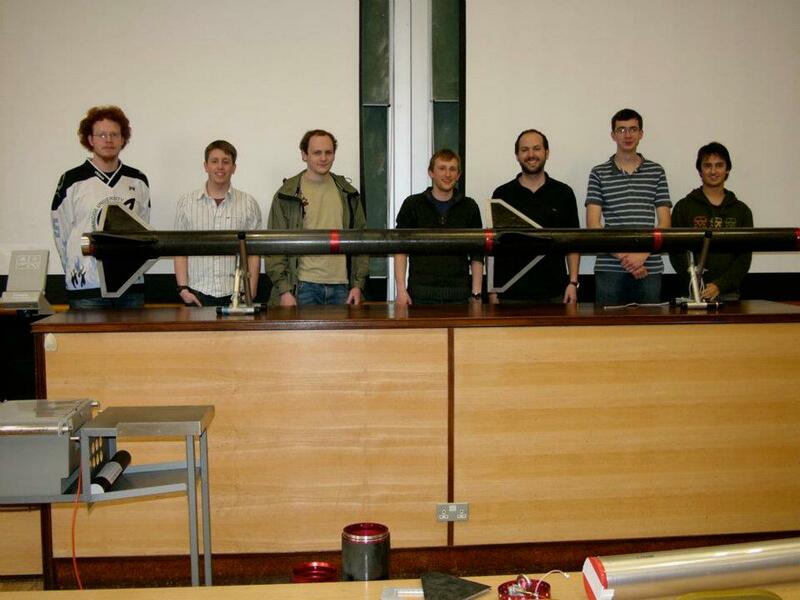 Some of our team have recently been developing a prototype hybrid rocket motor. 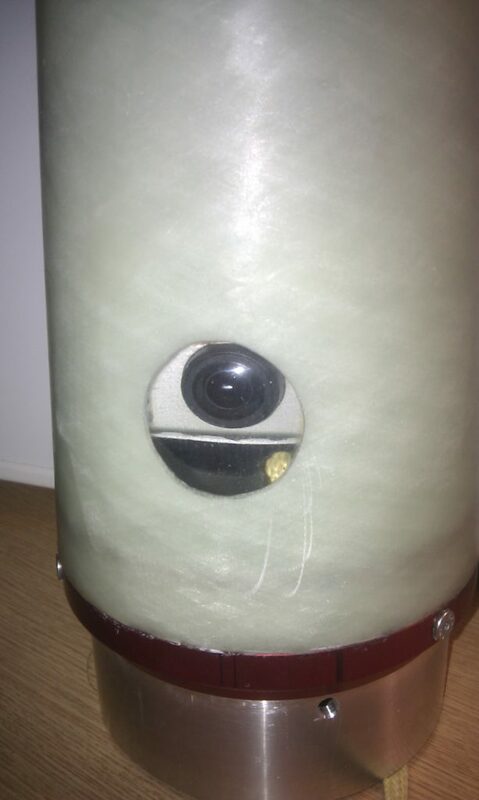 Our motor was to be ignited by lighting a length of slow-fuse, waiting for the fuse to burn down some of the length of the fuel, then opening a valve to allow the oxidiser to flow through the fuel. The oxidiser valve requires around 10 amps continuous current, which is rather more than most ignition systems are geared up for. OkGo (Named after the band) is our ignition system, developed to light the hybrid (We also used it to ignite a number of solid fuel rockets). It’s a very simple system based on buttons, switches and relays, but works well and should be highly reliable. We are considering adding features such as continuity testing (This lets you test whether the ematch is intact and connected before activating it). DorMouse (pictured below), is a flight computer, designed to go in the nose cone of a model rocket. We built DorMouse for the Sunday 2nd Rocket launch at EARS, though plan to continue to use it for low to medium level model rocket launches. It has a large suite of sensors, including 2 accelerometers (16g, 200g), a barometer, and a uBlox GPS, all of which are logged to an SD card, with a polling rate for most of the sensors of at least 500Hz. There’s also an XBEE on board for coarse live data at the highest rate the signal strength allows. DorMouse is controlled by a 72MHz (STMF103RFT6) ARM CPU. 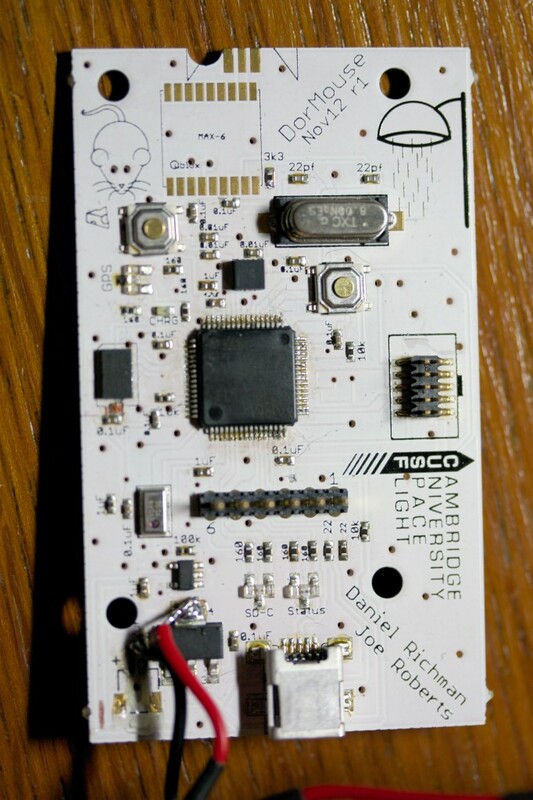 We are particularly grateful to the Cambridge Circuit Company for delivering the first revision of the DorMouse PCBs, one of which was partially assembled for the first launch. It was unfortunately afflicted by a software (DMA related) bug which prevented it from flying … though in a rocket whose front section was subsequently lost – a near miss! 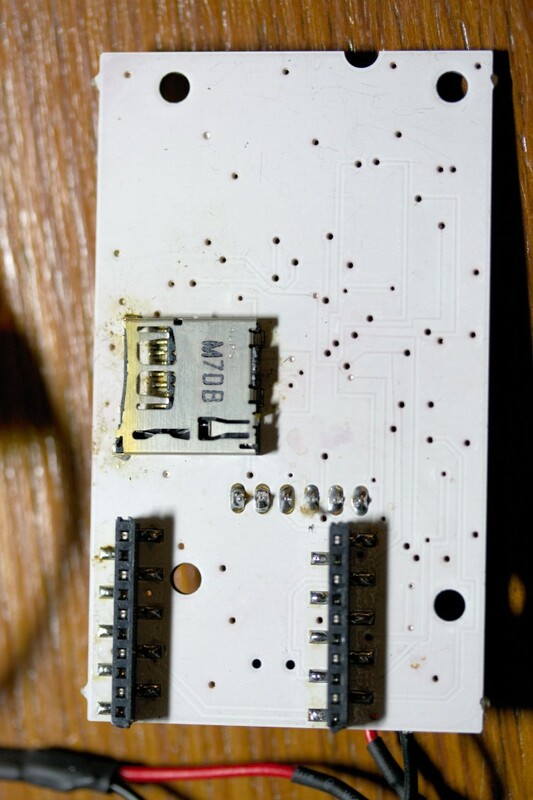 We’ll have an update once the full board is assembled, and we plan to do an even smaller revision 2. Other fun future ideas include adding a precise timestamp to all the logged data, using the GPS unit for timing. Scream in Space website live! Today we’ve launched the competition for Scream in Space, our project to send videos of people screaming into orbit! We will be at the Societies’ Fair at the Kelsey Kerridge sports centre all day today and tomorrow. Please do come and along and say hello! Two stages of the Martlet 1 sounding rocket were launched at Ben Armine, Scotland, on the 3rd May 2012, as part of The Big Range 2012 launch campaign. Three videos of the launch are show below, which should be watched with sound – for the full launch report click here. More photos and information will be added to the launch report over the next few days. 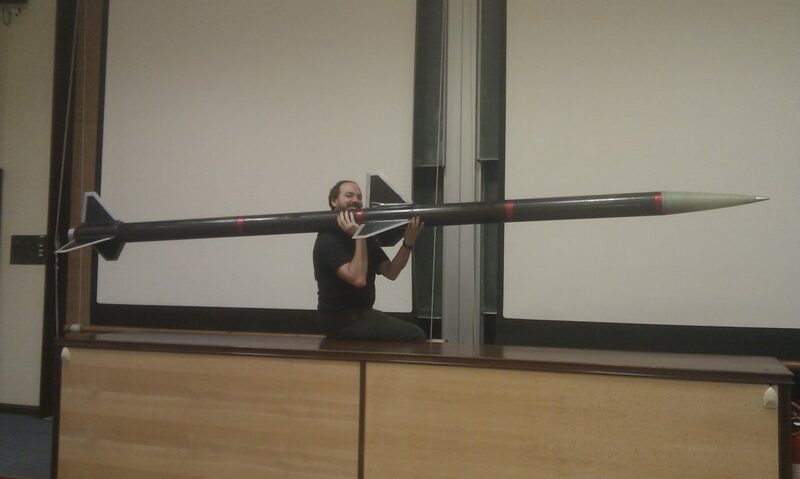 The Martlet 1 rocket has an HD Go-Pro Hero 2 camera mounted in the nosecone, to take footage during the flight,. 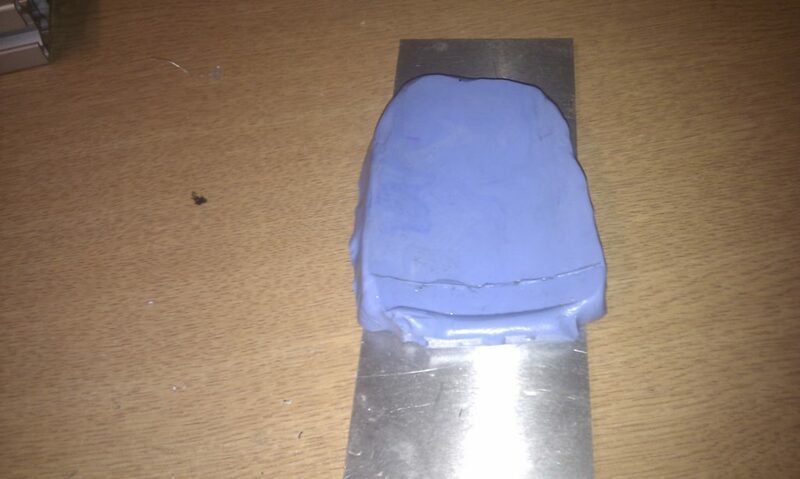 A window was needed in the fibreglass wall, so we made first made a mould of the outside of the nosecone outer surface using Siligum. 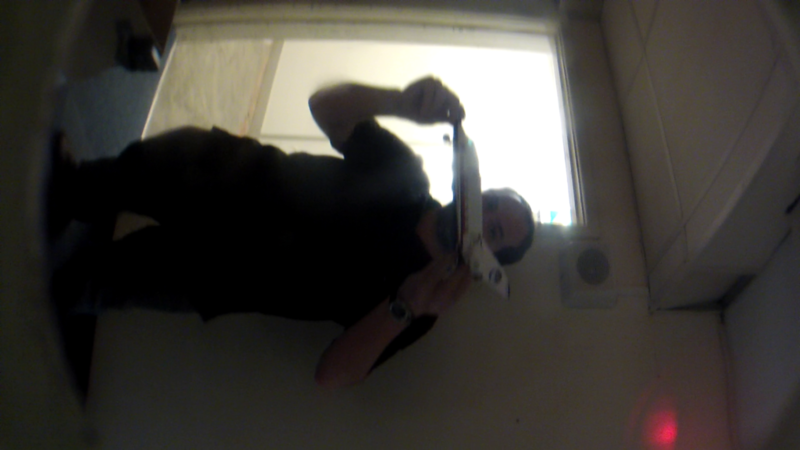 We then cut a porthole, and filled the porthole from the inside with clear polyester resin. The resin was sanded through the grades of wet-and-dry paper, then polished with Peek. There is very slight distortion, but a good optical clarity. 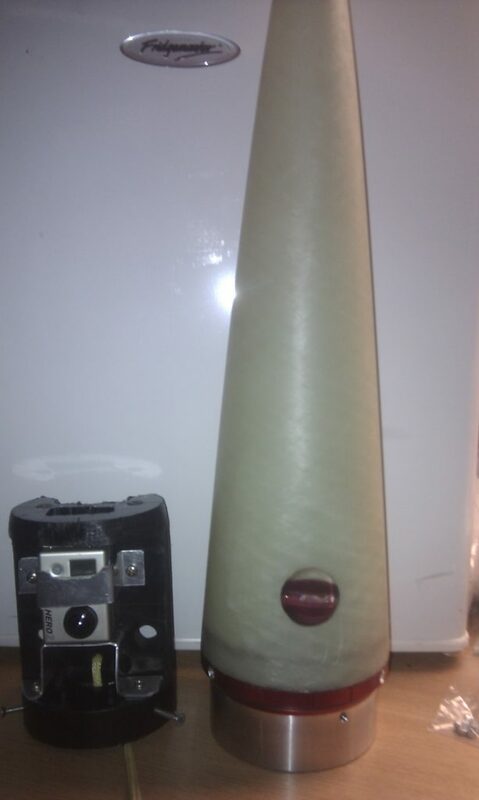 The GoPro camera is mounted on an HDPE block that is connected to the noscone with 3 radial bolts. We are proud to announce that the CUSF poster girl for May is Daniel Strange, the famed bearded superscientist. Isn’t she beautiful? Today we had a pre-launch bash before Martlet 1 is launched next week. The rocket is (almost) ready to go now, with just a few finishing touches to be made. Many thanks also to Andy Hugh and Malcolm Jennings for busting a gut to get the rocket motors to us today. 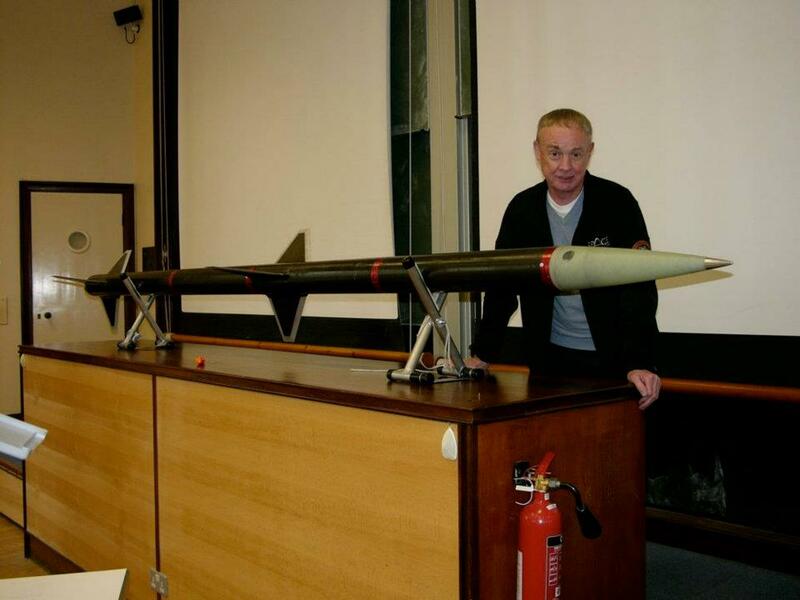 Some of the project’s sponsors also dropped by, such as Richard Hobbs from Cambridge Precision and Dr. Madsen Pirie (below), after whom the rocket is nicknamed the “Lord Madsen”.